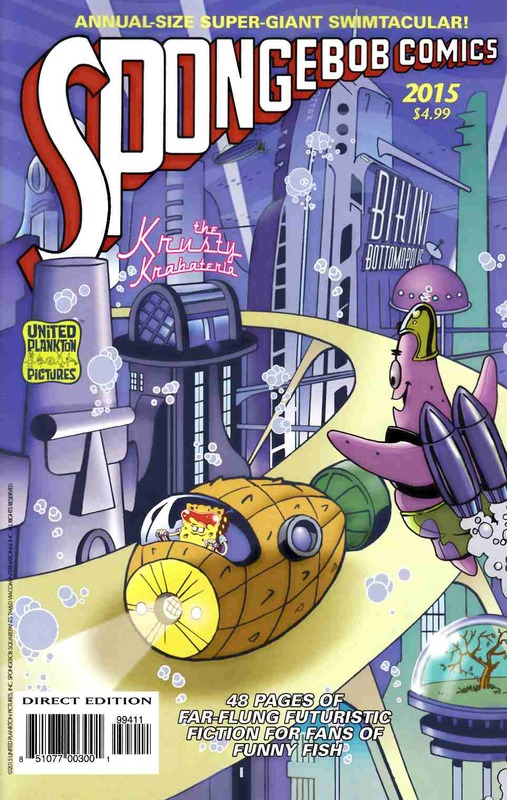 This year, the SpongeBob Comics Annual-Size Super-Giant Swimtacular charts a course for the future in science-fictional dystopian yarns like "Mermaid Man 39,616 AD," "SpongeBob ConsumerPants," "Bikini Bottom Wasteland," and "Planet of the Squids." They're all framed by a piratey tale drawn by comics legend Ramona Fradon! Plus, enjoy Patrick's singular vision of things to come in "The Future is Wow" by James Kochalka, and a back cover pinup by Jake Parker (Missile Mouse) showing all your underwater pals as maritime mechanical robots!